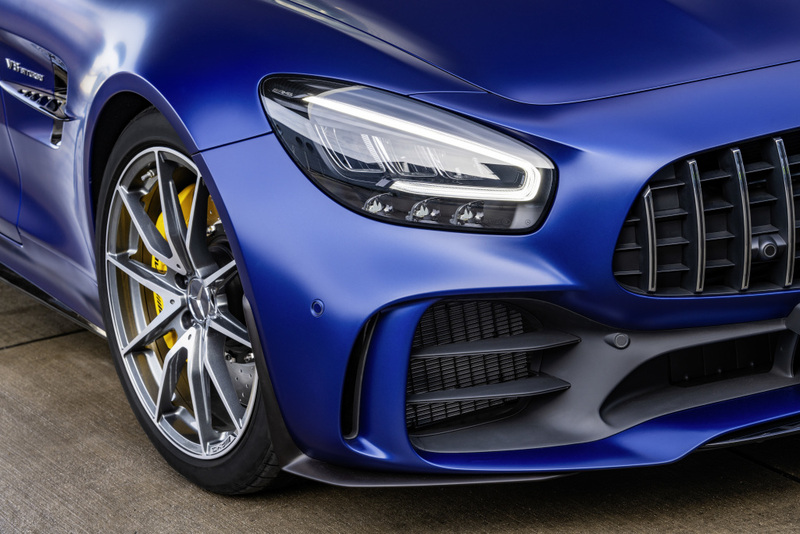 Mercedes-Benz launched another hot model under the Mercedes-AMG GT range just before the Geneva Motor Show earlier this month. This time, the company removed the covers of the all-new Mercedes-AMG GT R Roadster. 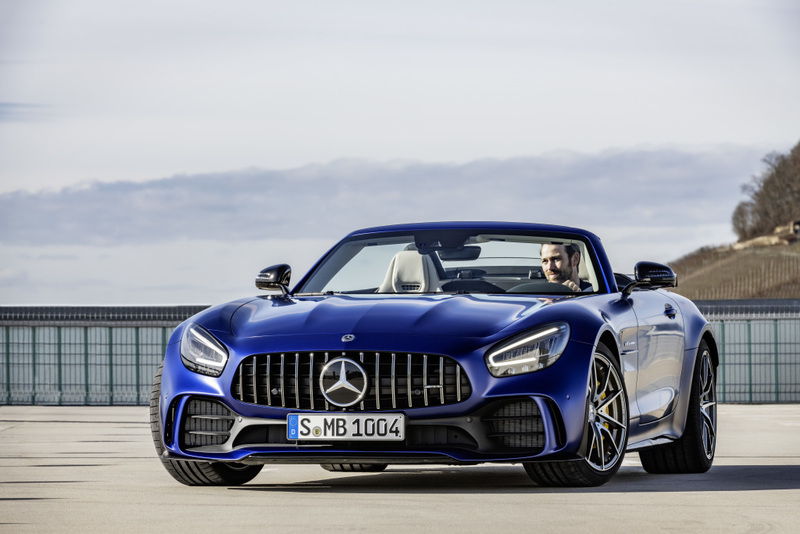 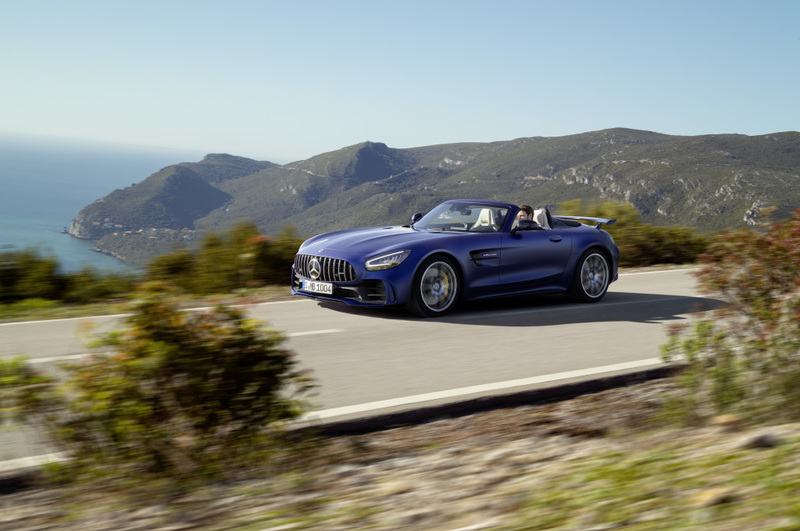 Mercedes didn’t hold back with the AMG GT R Roadster with its slew of amazing features from its engine to its exterior and interior elements. 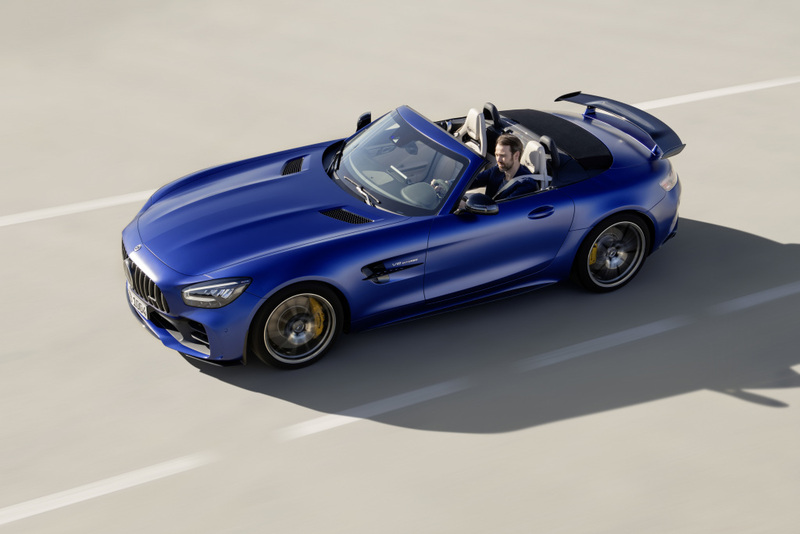 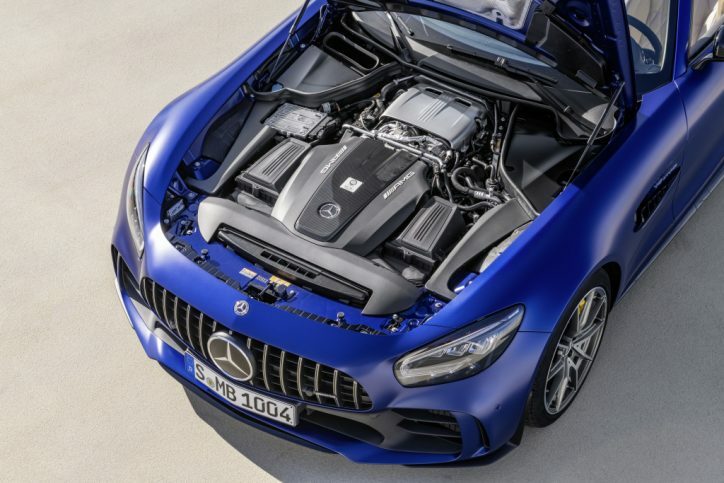 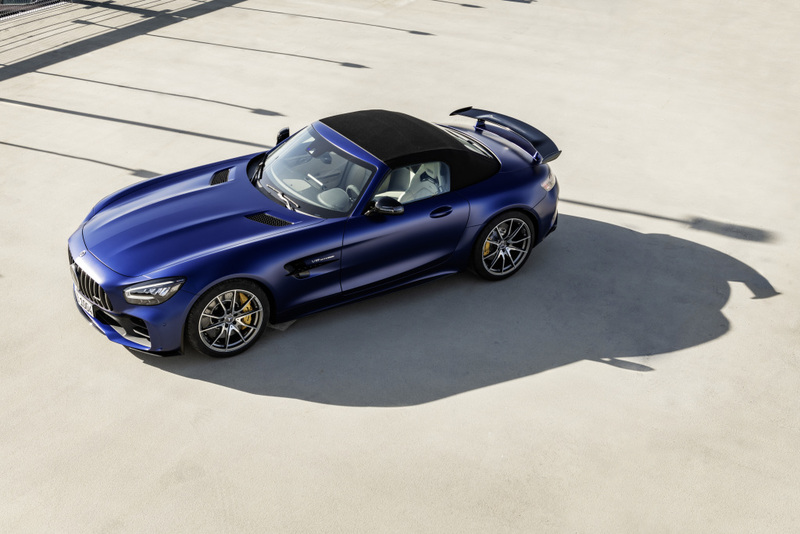 The AMG GT R Roadster is powered by a 4.0-liter twin-turbo V8 engine. The unit produces 585 hp and 516 lb-ft of torque similar to its coupe counterpart. 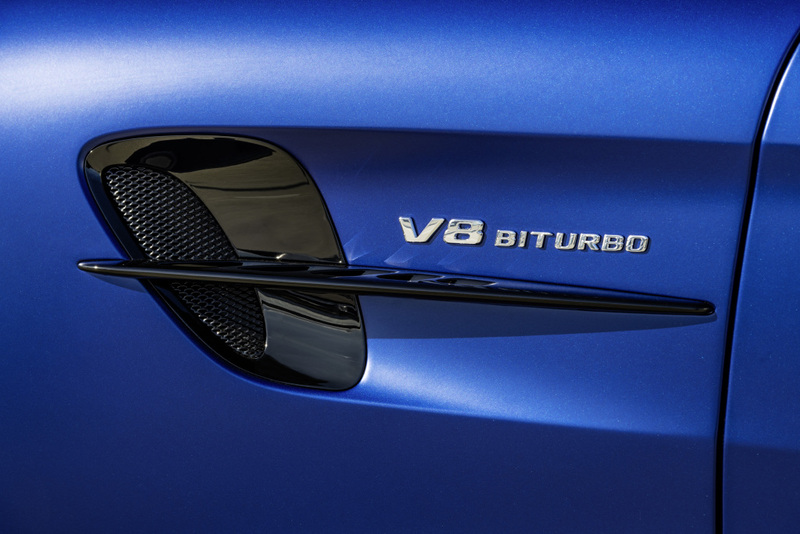 It also gets the same seven-speed dual-clutch transmission system. 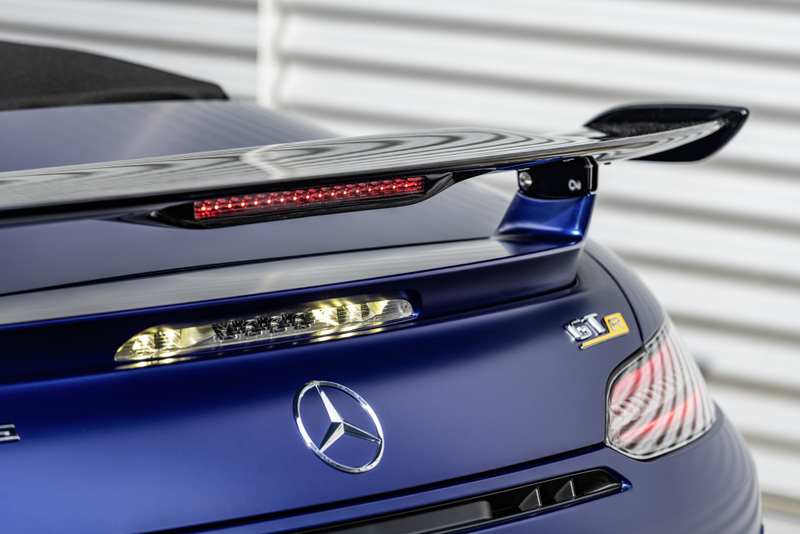 The setup allows the car to accelerate from 0-62 mph in just 3.6 seconds. 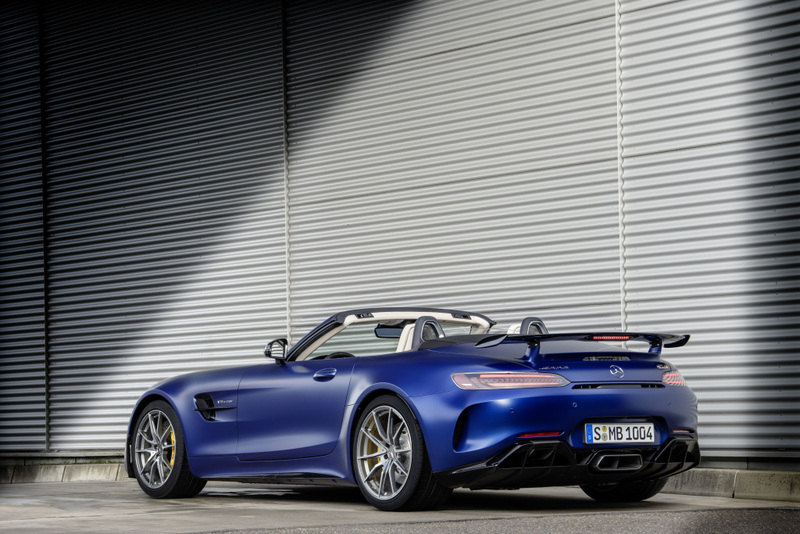 On the other hand, its top speed is electronically limited at 197 mph. 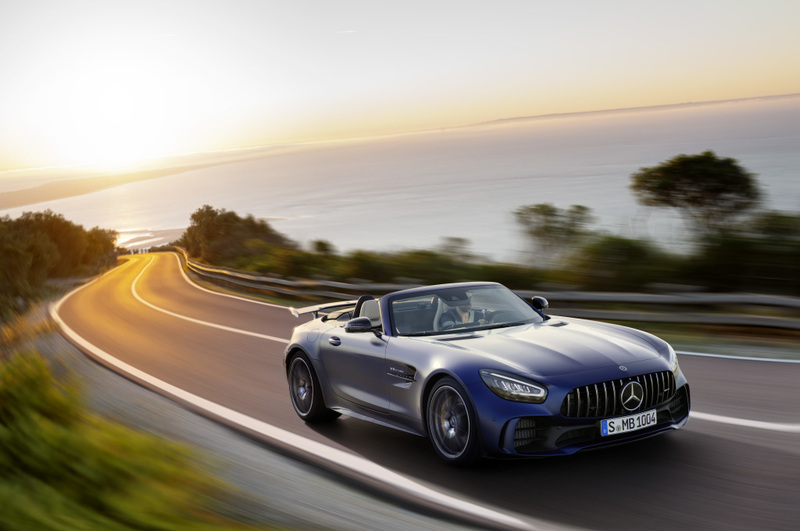 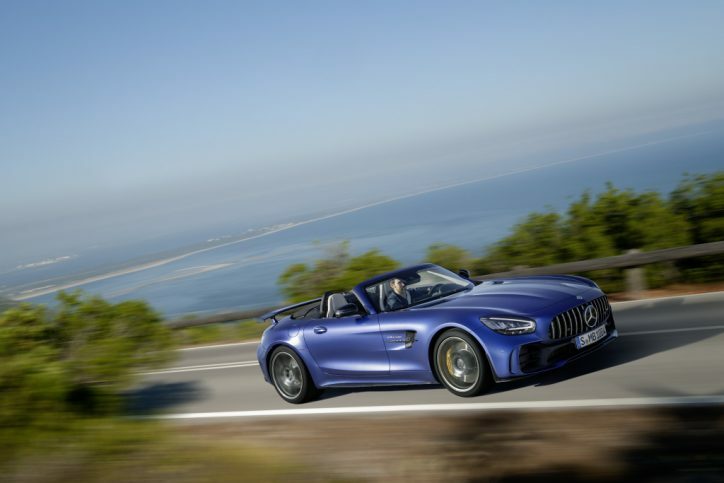 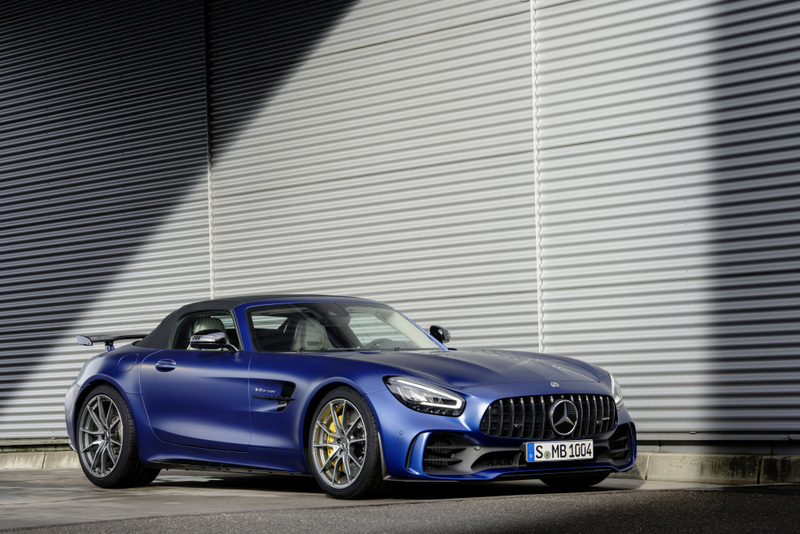 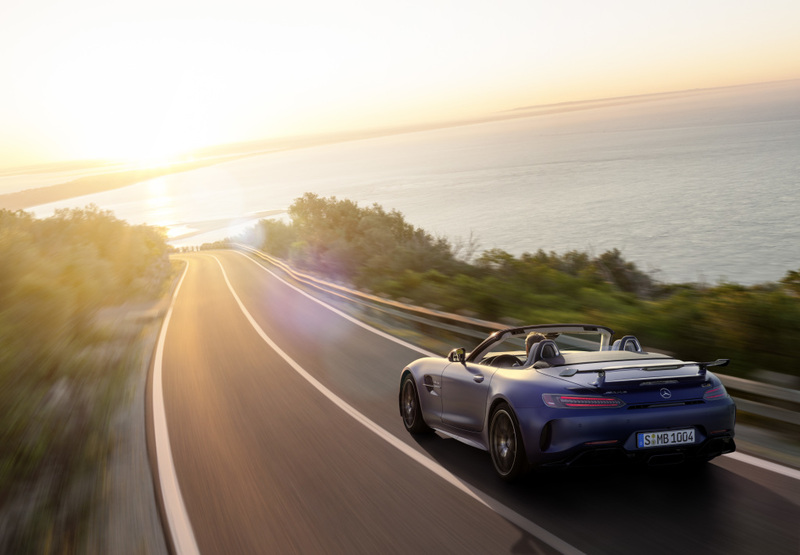 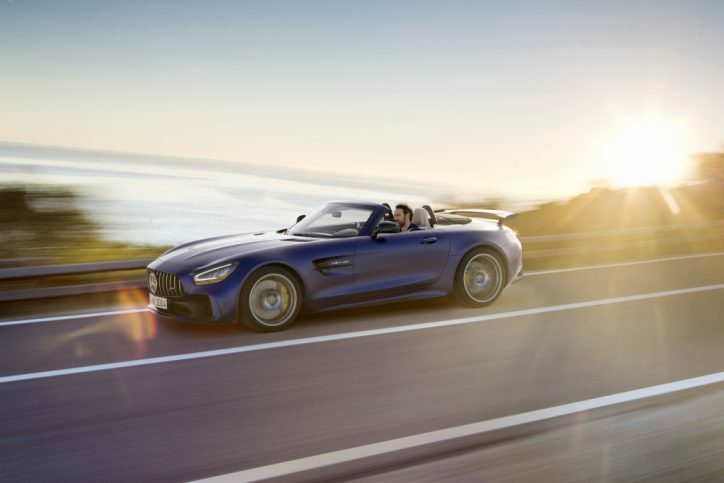 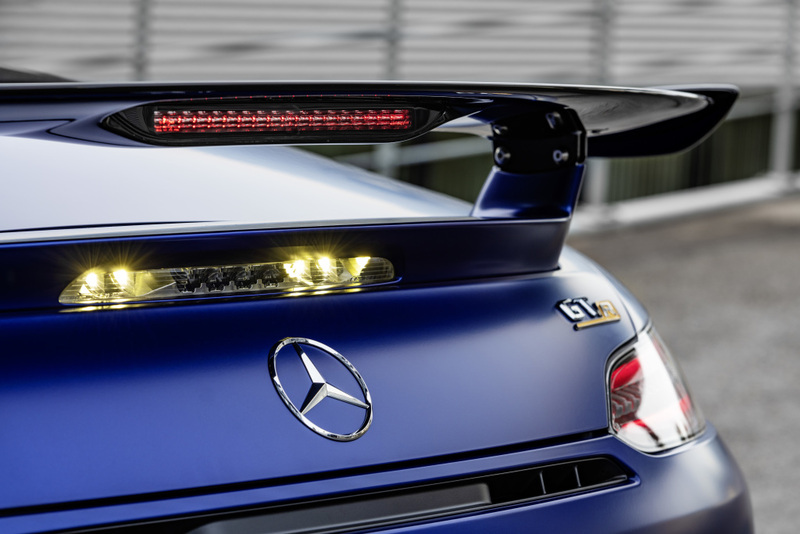 The AMG GT R Roadster has the key design features of its coupe version. 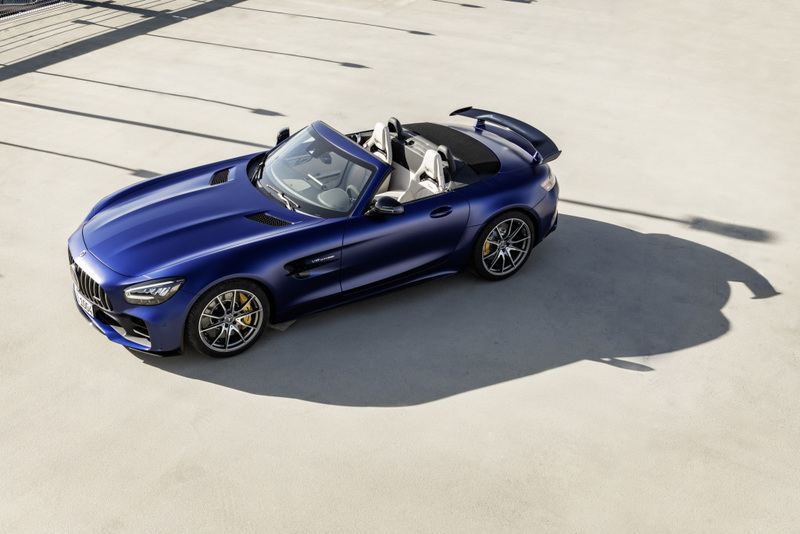 Since it is a convertible, it only has the reinforced A-pillar on its upper half. 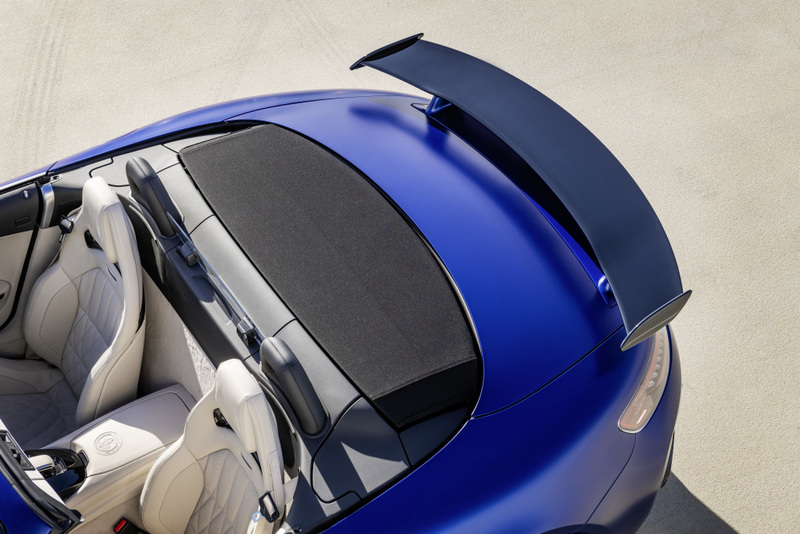 Meanwhile, the fabric roof now can be retracted electronically. 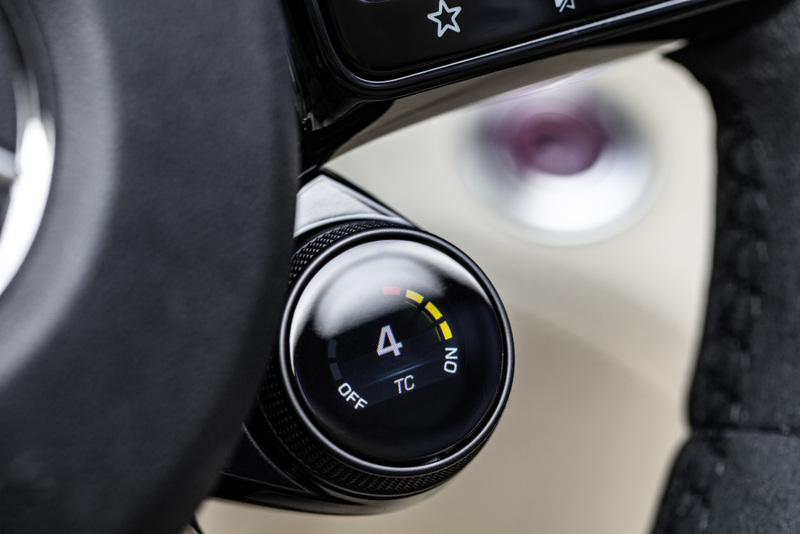 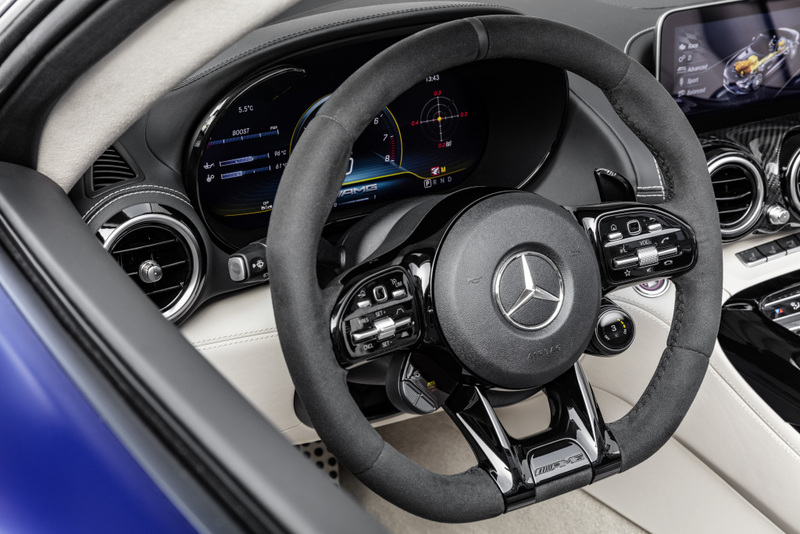 The interior simply carries the elements of the AMG GT R Coupe such as the black nappa leather seats in different trims but with the addition of the optional neck-level heating Airscarf system. 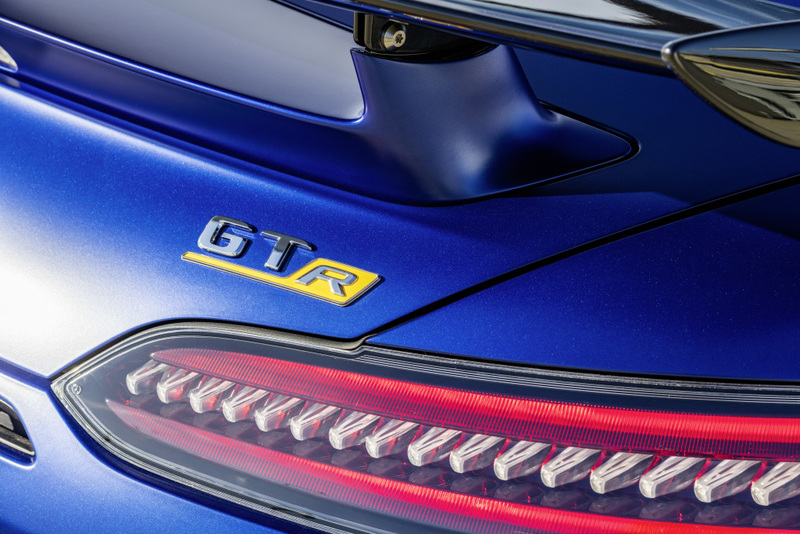 Mercedes is yet to confirm the selling date and pricing of the AMG GT R Roadster. 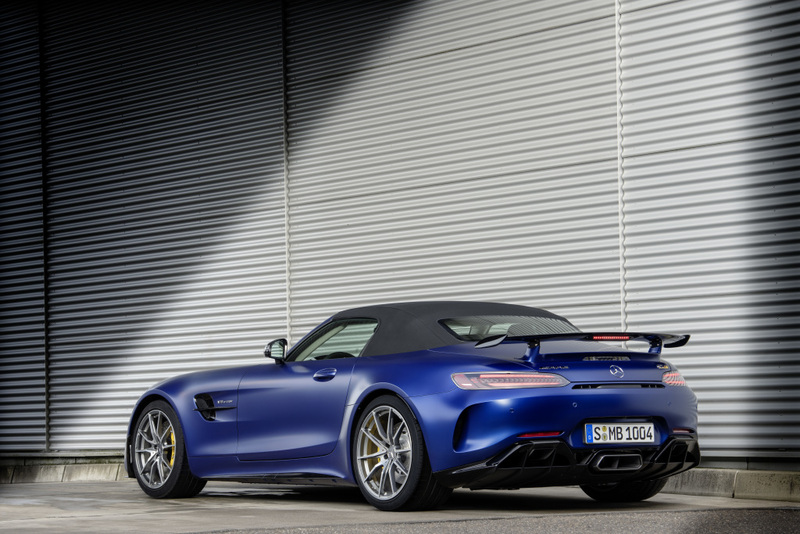 We expect it to get a price tag above the $159,350 commanded by its coupe sibling though. 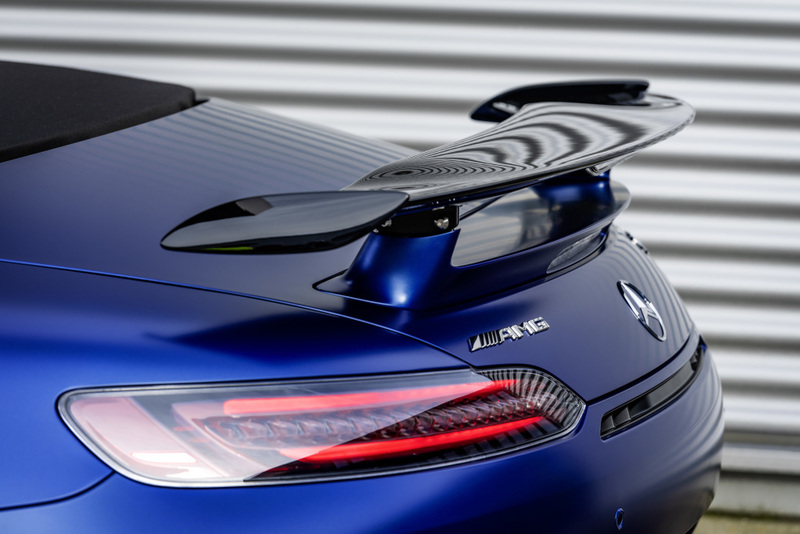 Interested buyers should be on watch for the selling period of the car as it will only be available in 750 samples.